Yesterday I spent some time thinking about what Rachel Carson experienced in the period leading up to her writing The Sea Around Us, and following that up a decade or so later with Silent Spring. How we can learn from those experiences as we hurtle towards wholesale destruction of the internet and all it stands for, particularly with phenomena like the Digital Economy Act, the DMCA, Hadopi and the most appalling of them all, ACTA. I shared some of those thoughts with you here. Today I want to spend a little more time on the same subject, but from a different perspective. Let me explain why. Ever since I got visibly involved in the Digital Economy Bill debate, I have been dismayed by the number of people who spend time accusing me of complete naivete when it comes to the download and fileshare debate. The accusations usually begin with an assumption (on the part of the accusers) that I (and people like me) do not want to see “creators” properly rewarded for their work; this is then extrapolated into further accusations that classify unpaid digital downloading as theft, somehow taking the civil offence of copyright infringement and converting it into a criminal offence, despite the “owner” of the asset continuing to have complete and unfettered access to the asset, despite the extreme nonrival nature of the asset. So that’s where I want to begin. Making sure creative people get proper payment for their work. You see, where I come from, software is a creative business. Software is a creative industry… it must be: after all, the fancy figures for illegal downloads include the “lost revenue” for pirated software. [I am now trying desperately not to give in to the temptation to make up sentences that have words like “hoist” and “with” and “own” and “petard”. After all, this is a smelly enough business as it is]. Where was I? Oh yes. Creative people getting paid for their work. Let’s start with Linux. 60% of all web servers run Linux. “It would take $10.8 billion dollars to build the Fedora 9 distribution in today’s dollars“. Just one distribution. Or let’s look at the Apache HTTP Server, which went past the 100 million web sites landmark a year or two ago. Or let’s look at the volunteers who keep the Internet Storm Center manned and productive. 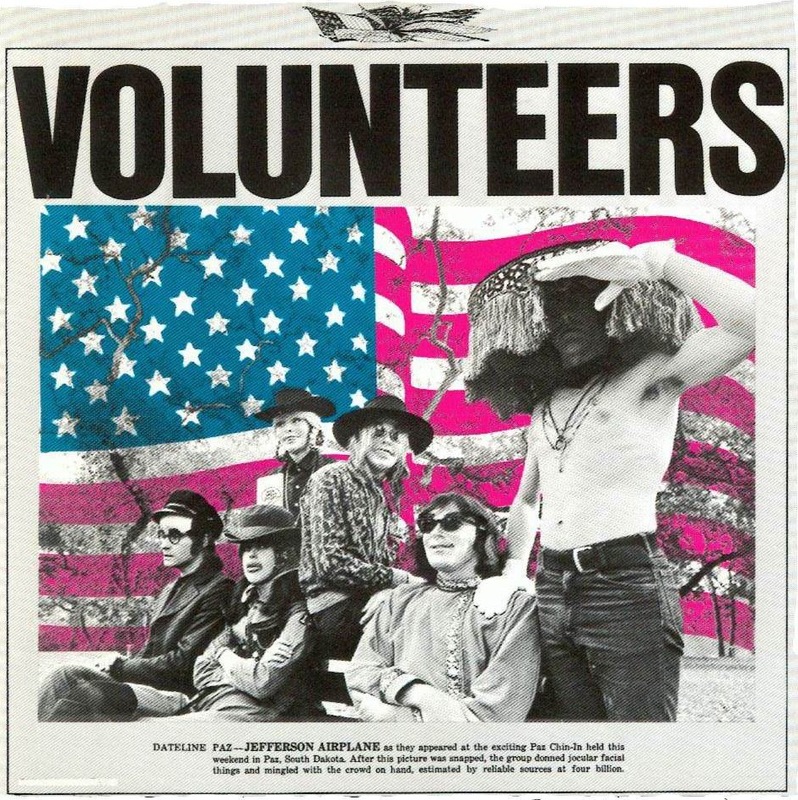 Or let’s go back in time and look at the volunteers who wrote RFC 675, without which there would be no internet. Or let’s look at the people who work for and with industry bodies like ICANN and W3C and IETF and, more recently, the Web Science Trust. All possible because of volunteers. Yes the volunteers may get paid by organisations that can perceive the value generated by such voluntary activity; but this form of payment is closer to patronage than anything else. I could go on and on, but I won’t. I hope I’ve made the point already. The point is that for the internet to exist, many things have to be in place. There have to be people willing to invest in stuff; people willing to connect the stuff up; people willing to run the many-headed beast that emerges as a result of connecting the stuff up; people willing to protect the beast as it mutates organically, naturally; people willing to keep trying to find faster, cheaper, better ways of doing things. It all begins with a state of mind. A willingness to share. A focus on being open, a focus on enabling people at the edge to do things they would otherwise not be able to do. Without that state of mind there are no volunteers, there is no set of standards and protocols, there is no process, cumbersome or otherwise, to let the internet evolve: there is no internet. Without that internet there is no goldmine for “rightsholders” to strip of all value. Without that internet artists will get paid even less than they do currently, however unlikely that sounds. Incidentally, here’s a very instructive method of visualising what musicians get paid: [My thanks to @gapingvoid and to @psfk for sharing it with me]. Which brings me to the end of this particular post. We need to remember who we are. Stewards of the internet. The internet, a concept, a state of mind, a set of values, a network of networks of people, things and infrastructure. Where people live and work and learn and read and create. Oh yes, and where people occasionally listen to music or watch videos. The internet was built for sharing. The internet relies on people who share their time freely and passionately. There is a catch, however. These people expect something in return for the investment they made, the investment they make, the investment they are prepared to continue to make. And that something is this: a free, unfettered internet. So when the talk in cafes and dinner tables turns to creative people and the need to make sure creative people get paid properly, do make sure you include all creative people and all modes of payment. Just some of the headlines from a group of people not known for their progressive thinking when it comes to music and downloads and filesharing. 2009 has already become the biggest ever year for UK singles with more than 117m sold to date, recorded music body the BPI today announced. “Sales of single tracks in 2009 have now surpassed the previous all-time record of 115.1m, set in 2008. The total of 117m has been reached with 10 weeks of trading, including the vital Christmas period, still to run in 2009. “The UK Top 40 is now almost entirely comprised of digital singles. During this year, 98.6% of all singles have been retailed in digital formats. More than 389.2m single track downloads have now been sold in the UK since the launch of the first mainstream online stores in 2004. All from that well-known friend of illegal downloaders and filesharers, BPI. I have to consider the statements to be largely factual since they have no incentive to report these particular numbers falsely. It’s not just about digital sales either. The Beatles are reported to have sold 2.25 million albums in two weeks recently. Again, data with some backing. I like numbers. But not when they’re Numbers of Mass Distraction (NMD). Not when 136 people can become 7 million people. Why should I care what numbers are bandied about in the press? Why should I care when someone says “Only 1 in 20 downloads in the UK is legal” or words to that effect? When “tentative” numbers get repeated often enough, even if they get corrected later, people tend to remember the original “tentatives”. That’s what the research shows. And by the way, when I refer to numbers or research, I try and refer to the source openly and transparently. The ITU projects the total number of broadband connections in the UK to be 18.4m by the end of this year. Let’s take that number for a start. BPI then says that there are already a minimum of 117m legal downloads this year, with 20% of the year to go. Without even going for seasonal adjustment to allow for Christmas, let’s take a worst-case legal download total for 2009 to be 150m or thereabouts. If we then take the Mandelson pronouncement that only one in 20 downloads is legal, that would assume that 2009 will see 3 billion downloads in the UK. There’s been a similar pronouncement that we have 7 million illegal downloaders in the UK, which was the previous NMD or Number of Mass Distraction. So let’s try and see whether these numbers look sane, smell right. 3 billion downloads represents 163 downloads per broadband connection per year, or one illegal download every two and a quarter days. Do you know anyone who buys a single every other day? Would you believe it if you were told there were people who did that? Hang on a second. Why should I use the 18.4 million ITU overall broadband lines in the UK number? What happens if I use the 7 million NMD number? Now I have to believe that there are seven million people in the UK who download 429 singles each illegally every year, or 1.17 every day. The 117m figure is solid. There is money to show for it. Till receipts. The 18.4 million is solid. There is money to show for it. Telco billing records. The 3 billion figure is an estimate based on digits (of the finger kind) whirling through the atmosphere. The 7 million figure is an estimate based on conversations with 136 people. If the 7 million figure is correct, then it means that nearly two in five people with broadband in the UK are illegal downloaders. People in the UK reading this post will know other people in the UK with broadband connections. Does this seem reasonable? If the 7 million figure is wrong, do you think it is wrong on the low side or the high side? Imagine what that does to the daily illegal downloads that 40% of your friends now have to achieve as a NMD target. I tend to think that maybe, just maybe, the 7 million number is a tad on the high side. So now let’s move to the other number, 3 billion. If we assume 61.4m people in the UK (Source: National Statistics Online) then we’re talking about one illegal download every week or so for every single person in this country. Does that feel reasonable to you? Let’s say the number of illegal downloads is not 20 times the number of legal downloads. Would you think the right number is higher or lower? I tend to think that maybe, just maybe, the 20 times number is a tad on the high side. There is evidence that the number of legal downloads sold is sharply on the increase. There is evidence that new business models are emerging, from iTunes through to OneBox, from last.fm through to spotify and we7. There is evidence that people in the UK care about their digital futures. 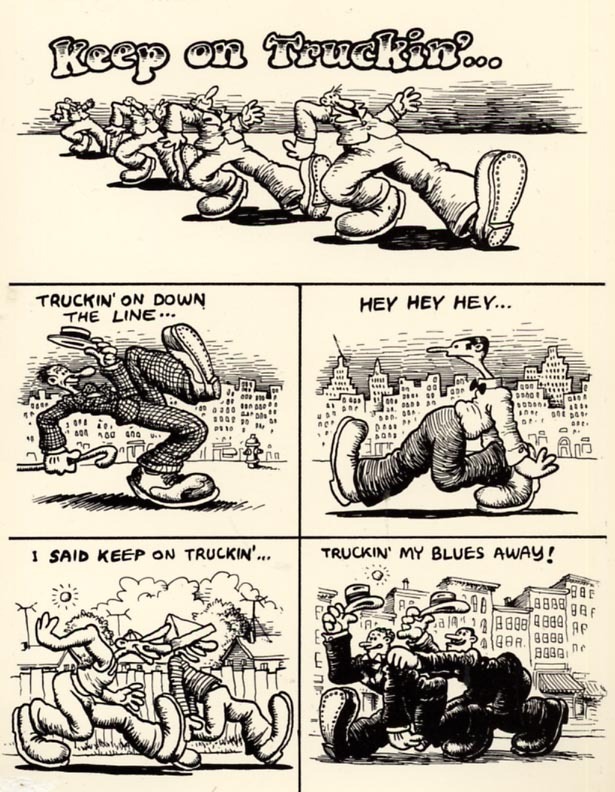 My thanks to Robert Crumb for not copyrighting this image in 1968. A few weeks ago, Peter Mandelson announced his intention to push forward on stringent measures to deal with “illegal” filesharing and downloading. The measures went much further than what had been envisaged in the Digital Britain report, with responsibility for the decisions and implementation passing from Ofcom to Mandelson. It now appears that “internet suspension of illegal downloaders could become law”. Before that happens, I thought it would be worth while to share some of my thoughts about this. 1. Neither filesharing nor downloading is illegal per se. The word “illegal” regularly precedes the word “download”, to such an extent that people are used to seeing the two words together; as a result there is a risk that people perceive all downloads to be illegal. George Lakoff pointed out something very similar when analysing Katrina, showing how “citizens” became “refugees”. Earlier, there were attempts to equate “Muslims” with “terrorists”. It is important that we frame this debate correctly. Let me put this in context. Have you ever bought a CD and transferred tracks from that CD to anything else: your iTunes software, an iPod, a smart phone, an MP3 player, even another CD? If you live in the UK, then you have broken the law. What you have done is “illegal”. So it’s important to bear in mind that not everyone who downloads something is doing something “illegal”, there are legal downloads as well. And sometimes something appears illegal because the law is out of date, even though in practice it is not illegal. 2. Downloaders do pay for their downloads. Last year’s best-selling MP3 album on Amazon was Nine Inch Nails‘ Ghosts I-IV. Not particularly remarkable, until you realise that the same album was available for free download as well. Radiohead proved something similar with In Rainbows. Just because people download music, don’t assume that they’re trying to rip artists off. Most downloaders support their artists. 3. Downloading is good business for the music industry. It’s not just the Amazon MP3 album chart that shows what’s happening. Digital music album sales are growing 32% year on year, while CD album sales are down 14.5%, when you compare 2008 with 2007. If you have the time, go visit the Internet Archive. Take a look at what the Grateful Dead have been doing there. 3093 audience recordings available for free download. 3823 stream-only recordings available as well. Free. You see, the Grateful Dead have figured out what’s abundant and what’s scarce in their business. Digital things are abundant. Physical things are scarce. So I can record their concerts, trade the “bootlegs”, download away to my heart’s content. But they get my money for the concerts and the merchandise. As well as the CDs and DVDs that are “official”. [I now have 54 Jerry Garcia ties!]. Music is about performance, not just studio. We’ve been in a time warp where people have forgotten that and gotten hung up about other ways of making money. Like getting suckers like me to pay repeatedly for the same content across different formats. The new generations aren’t into buying physical copies, other than collectible vinyl. 4. Claims about illegal downloads can be misleading. Yesterday, Lady Gaga was announced as the Queen of Downloads. What intrigued me was the others on the Top 10 list. Kings of Leon. La Roux. Leona Lewis. Alexandra Burke. Snow Patrol. Nickelback. Not the kind of stuff I listen to. The kind of stuff my youngest child listens to. What struck me was this: young people seem to do the downloading, old people seem to do the anti-download complaining. I’ve seen claims that in the UK alone, £1.2bn is lost to illegal downloads. And I think there’s a fallacy there. It’s a bit like Rolex claiming lost revenues because people are buying rip-off Rolexes for $25. Does Rolex really think that someone who pays $25 for a “Rolex” is actually a potential customer for a $25,000 watch? I saw similar claims made for software purchases in India. So let’s put this in context. Does anyone really think that someone, anyone, downloads Cliff Richard illegally? Puh-leese. 5. There are many potential flaws in the suggested way forward. We can prevent some of these freedoms with artificial scarcities, like putting region coding on DVDs. But the market works around such things, every artificial scarcity is met with an equal and opposite artificial abundance. And there are more of “them”. Even if a piecemeal technical solution were to be implemented, the likelihood is that it will be exorbitant in cost. There is also the consideration that the solutions put forward may breach basic human rights. When we look at what’s happened in France, Australia, New Zealand, there is definite evidence that any such move would be grossly unpopular. On top of all this, even the RIAA appears to have concluded that prosecuting the downloader is not worth while, and that DRM has had its day. Technically complex, unlikely to succeed. Expensive. Potentially illegal. Unpopular. The list grows and grows. And of course there is the matter of asking ISPs to criminalise their customers in order to protect third-party rights, why would any ISP want to do that? 6. Do we really want to alienate a whole generation? Are there good reasons to? The point is actually something else. It’s about culture. It’s about the way the millenials think and act. They have rediscovered something we’ve gone and forgotten, the sheer pleasure of getting under the hood of things. Making things. Making new things out of old things. Changing things. This process of make, remake, change is part of the way they express themselves. Part of the way they think. Part of the way they create. Part of the way they protest. Marcel Duchamp remixed the Mona Lisa. Ogden Nash remixed Joyce Kilmer’s Trees. Lampoon and Satire are culturally significant as well, no less creative than other forms of expression. If you haven’t done so already, go read Cory Doctorow’s Makers and Larry Lessig’s Remix. They will help you understand more of what is happening. There have always been generation gaps. There have always been pushbacks against every new reproduction technology: the book, the printing press, the copier, the tape recorder, the CD. And now the internet, the world’s biggest copy machine. Whatever you may have been told, the internet was not actually created to become a new distribution mechanism for failing entertainment industries. There is considerable pressure on the industry to change, to innovate. New business models are emerging, based on patronage, on subscription, on advertisements. We have to allow the innovation to continue. Today, even the worst enemies of downloaders would accept that somewhere between 13% and 16% of all downloads are legal and paid for, whatever those terms now mean. There are 6 billion people out there, all getting connected to the commons that is the internet. The industry should learn from Grateful Dead and Prince and Nine Inch Nails, focus on growing the size of the pie to make sure that 13-16% represents a very big number. Because that is possible, even likely. There are other considerations. Andrew Savikas, writing in O’Reilly TOC, puts forward an interesting argument for Content as a Service. Companies like LendAround are beginning to pick up new trends, trends that are moving away from an ownership culture to a sharing culture. Gift-based cultures and economies have been around for some time now. Millenia. Most people are law-abiding. Most people want to make sure that artists are rewarded. Sometimes laws are out of date and need changing. Sometimes business models are out of date and need changing. In the internet we have something precious and valuable. In the millenial generation we have something precious and valuable. It is time to keep our heads and do the right thing, foster innovation, encourage cultural expression and adaptation. And avoid seeking to alienate an entire generation…. in order to try and implement a failed proposition.